checkout her blog here: "UNBECOMING"
My wife and I were deep into the running world for many years until 2011 when I found myself on an operating table repairing a L5/S1 herniation. It turns out that a decade of abuse from off-road motorcycle racing did not build a strong foundation able to hold up to pounding the pavement. The surgeon ensured me that someday I will need another surgery and his best advice to delay it was to build the strongest core possible. My neighbors at the time were that weird couple working out in the garage and carrying things up and down the street (no, it wasn’t Brent and Jaime). 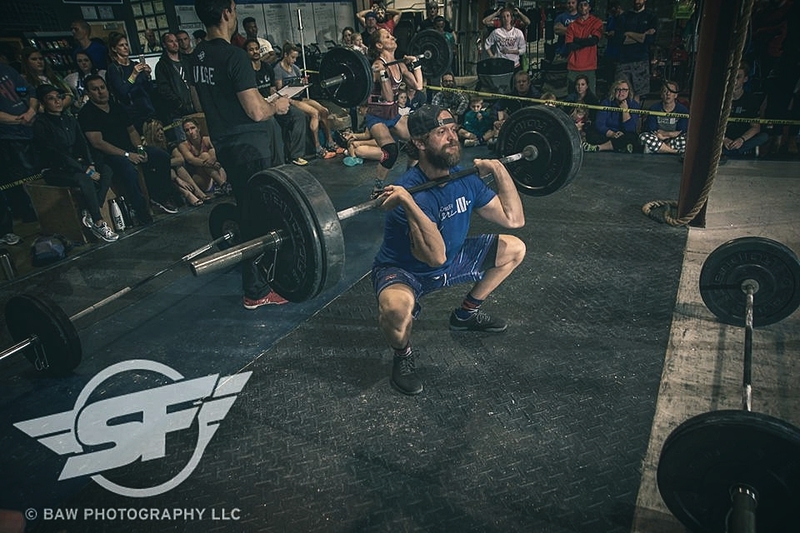 In their garage and at a globo-gym is where my passion for CrossFit began. We followed CrossFit One World’s programming online and did the best we could with the equipment we had. In 2013 we were part of the establishment of an affiliate in Indiana where I moved from student to coach. I upgraded my fitness in 2016. As a faithful student of ‘leg days,’ ‘treadmills,’ and ‘chest days’ – I was hesitant to transfer into CrossFit. I was content with going to a gym full of strangers, lifting some weight, jogging on a treadmill, and nodding ‘farewell’ to the nameless acquaintance at the front desk … sleep … REPEAT. The gym was where I did routine maintenance. CrossFit Jane provides routine IMPROVEMENTS - in fitness and life – not just on the barbell. Here, there are no strangers, we lift all the weights, we run in the sun (and the rain), and we high-five/hug/congratulate each other after every workout. I love this community and I am grateful for the opportunity to share the enthusiasm it shares with me – we all learn, live, and lift together!